Providing you the best range of machine mount, cushy foot mount, crusher mounts, m6 rubber mount and foot mount with effective & timely delivery. 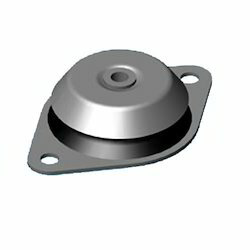 Leveraging on our quality oriented experts, we are engaged in offering large range of Machine Mount. The product of our company is highly recommended amongst the customers for its better performance and operates in vibration less and noiseless manner. 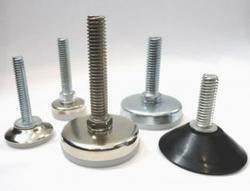 Our product is able to bear heavy load quite easily and is defect free. Besides these, our product operates in reliable manner and easy to install. 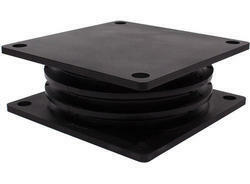 We are reckoned amongst trusted and leading companies for offering an extensive range of M6 Rubber Mount. Our offered product finds application in elastic mounting applications involving free-standing generators as well as other industrial machinery. This product provides insulating support to the noise generated as well as dampening of the vibrations. The product of our company is suitable for using in machines like stationary diesel engines and emergency power units. 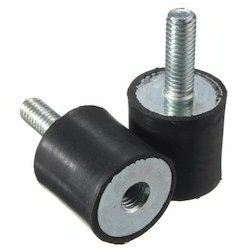 Furthermore, this product also offer support to the needs of height adjustment that allows optimum leveling of the generator. 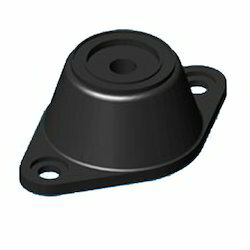 Other than this, the stop provision provided with mounts also allows safe transmission of tensile stress in case of short circuit.